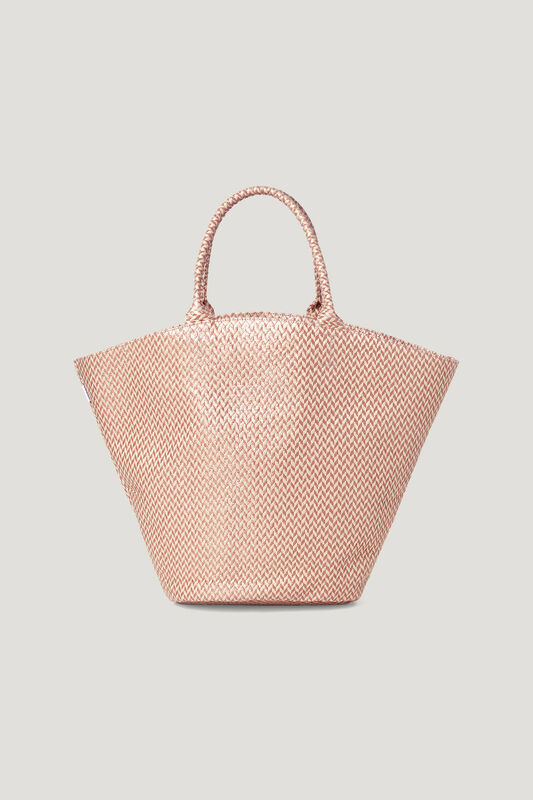 This generously sized shopper is woven in a two-colour pattern with a distinctive braided handle. A fabric lining and a Samsøe & Samsøe branded logo complete this stylish basket bag. Top width 61.5 cm, height 40 cm.